Available for the first time, Victor Serge's intimate account of the last decade of his life gives a vivid look into the Franco-Russian revolutionary's life, from his liberation from Stalin's Russia to his "Mexico Years," when he wrote his greatest works. In 1936, Victor Serge—poet, novelist, and revolutionary—left the Soviet Union for Paris, the rare opponent of Stalin to escape the Terror. In 1940, after the Nazis marched into Paris, Serge fled France for Mexico, where he would spend the rest of his life. His years in Mexico were marked by isolation, poverty, peril, and grief; his Notebooks, however, brim with resilience, curiosity, outrage, a passionate love of life, and superb writing. Serge paints haunting portraits of Osip Mandelstam, Stefan Zweig, and “the Old Man” Trotsky; argues with André Breton; and, awaiting his wife’s delayed arrival from Europe, writes her passionate love letters. He describes the sweep of the Mexican landscape, visits an erupting volcano, and immerses himself in the country’s history and culture. He looks back on his life and the fate of the Revolution. He broods on the course of the war and the world to come after. In the darkest of circumstances, he responds imaginatively, thinks critically, feels deeply, and finds reason to hope. Serge’s Notebooks were discovered in 2010 and appear here for the first time in their entirety in English. They are a a message in a bottle from one of the great spirits, and great writers, of our shipwrecked time. Victor Serge (1890–1947) was born Victor Lvovich Kibalchich to Russian anti-czarist exiles, impoverished intellectuals living “by chance” in Brussels. A precocious anarchist firebrand, young Victor was sentenced to five years in a French penitentiary in 1912. Expelled to Spain in 1917, he participated in an anarcho-syndicalist uprising before leaving to join the Revolution in Russia. Detained for more than a year in a French concentration camp, Serge arrived in St. Petersburg early in 1919 and joined the Bolsheviks, serving in the press services of the Communist International. An outspoken critic of Stalin, Serge was expelled from the Party and briefly arrested in 1928. Henceforth an “unperson,” he completed three novels (Men in Prison, Birth of Our Power, and Conquered City) and a history (Year One of the Russian Revolution), all published in Paris. Arrested again in Russia and deported to Central Asia in 1933, he was allowed to leave the USSR in 1936 after international protests by militants and prominent writers like André Gide and Romain Rolland. Using his insider’s knowledge, Serge published a stream of impassioned, documented exposés of Stalin’s Moscow show trials and machinations in Spain, which went largely unheeded. Stateless, penniless, hounded by Stalinist agents, Serge lived in precarious exile in Brussels, Paris, Vichy France, and Mexico City, where he died in 1947. His classic Memoirs of a Revolutionary and his great last novels, Unforgiving Years and The Case of Comrade Tulayev (both available as NYRB Classics), were written “for the desk drawer” and published posthumously. Mitchell Abidor is a historian and translator of French, Spanish, Italian, Portuguese, and Esperanto. Among the books he has edited and translated are an anthology of Victor Serge’s anarchist writings, Anarchists Never Surrender; Jean Jaurès’s Socialist History of the French Revolution; and May Made Me: An Oral History of the 1968 Uprising in France. He was born in Brooklyn, New York, where he still lives. 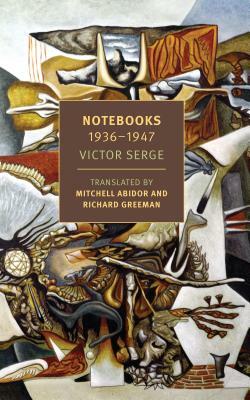 Richard Greeman has translated and written the introductions for five of Serge’s novels (including Unforgiving Years and Conquered City, both available as NYRB Classics). A veteran socialist and co-founder of the Praxis Center and Victor Serge Library in Moscow (www.praxiscenter.ru), Greeman is the author of the website the Invisible International (bit.ly/invisible-international).